How X Business, a WordPress Theme Benefits? 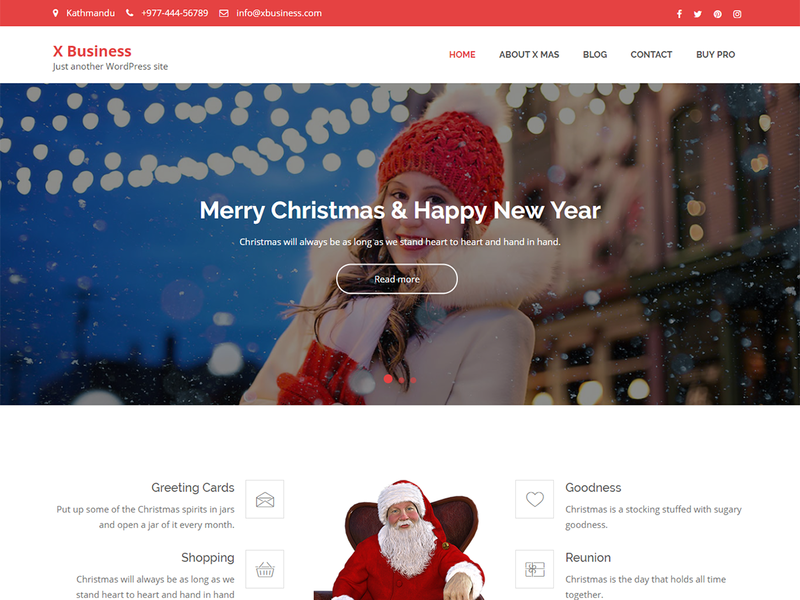 X Business is a responsive WordPress theme specially created for holidays like Christmas, New Year and more. Though holiday theme it has multipurpose layouts so can be used for business, corporate, portfolio, digital agency, blog, and all creative website development. This theme is easy to edit and customize everything to create a specific website for your needs as all components are based on widgets and customizer. The theme also comes with a full width easy to use slider.